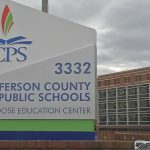 LOUISVILLE, Ky. (WDRB) – Jefferson County Public School is preparing to toughen up its process for background checks, affecting all future and current teachers and workers district-wide. This moves ahead of a change to state law, an added protection to keep child abusers out of school districts. “This (policy) will be pointed right toward that information,” JCPS board member Linda Duncan said Tuesday. Changes to state law forces the district to update its hiring policies that will affect all 16,000 future and current employees. It requires them to have a letter from the Cabinet for Health and Family Services that proves there’s no child abuse or neglect on record. The district’s early childhood education programs implemented the new rule early this year. So far, three people have been fired because of their results. “It’s going to impact employees, especially that we already have a hard time filling positions,” Armour said. According to HR officials, serious violations remain on someone’s record forever, and minor ones keep someone from working for the district for seven years. The new requirement takes effect on July 1 of next year. The district is still discussing exactly how to implement it. The board could vote on the changes as early as next month.